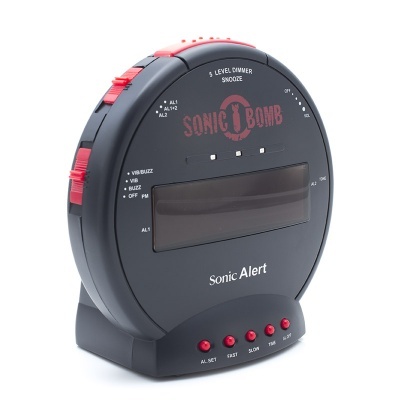 The Sonic Bomb Alarm Clock with Shaker has a turbo-charged extra-loud alarm to help ensure you never sleep through your alarm again. 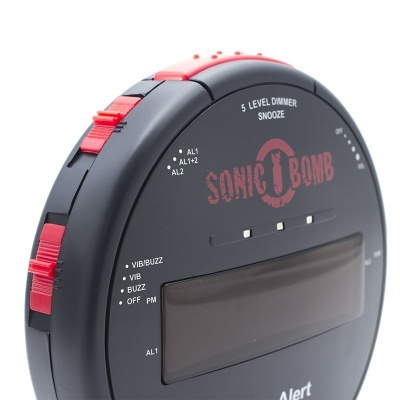 The volume can be adjusted up to 113 decibels (about the same sound level as a power saw, sandblasting or loud rock concert), making it ideal for the hard of hearing. 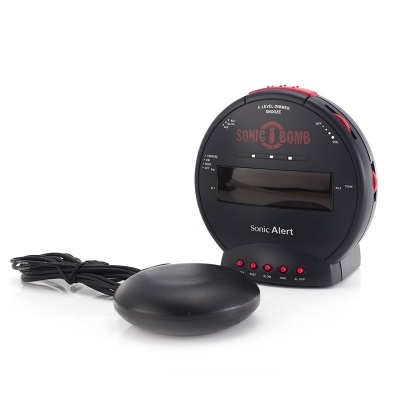 The Sonic Bomb Alarm Clock with Shaker includes a vibration pad, which can be placed under your pillow or cushion at night to provide a vibration prompt when the alarm goes off. 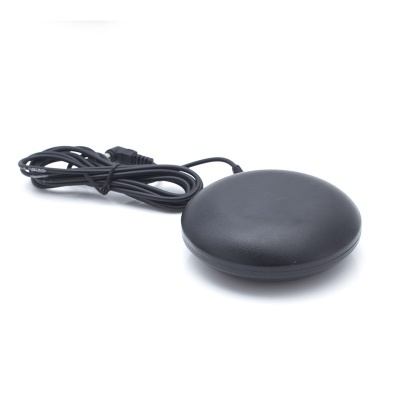 This strong vibration will be particularly useful for anybody with hearing difficulties, of for those who would benefit from an additional wake-up alert in addition to the sound alarm.